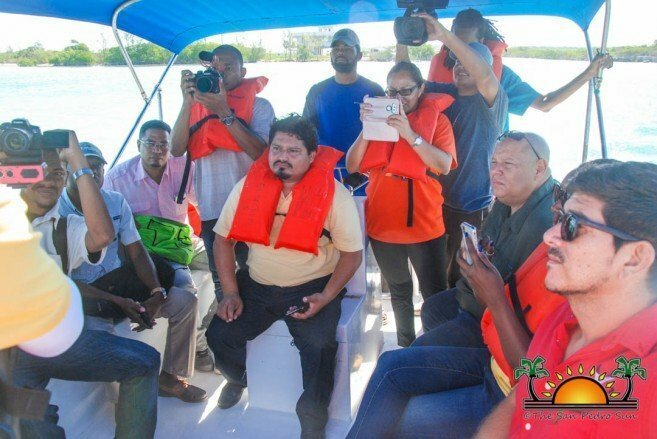 On Thursday, March 14th Belize Electricity Limited (BEL) took the Belizean Media Corps on a tour of the submarine cable route that is expected to connect Caye Caulker to the national electricity grid. The media tour served to inform the different media entities of the proposed connection route as well as the process of the project to share with their readers and viewers. The group of media corps and BEL members departed from The Office Bar & Restaurant located in San Pedro Town at 9AM. Their first stop was at ‘Point 1’, the ‘Existing Cable Landing’ located at the back of Ambergris Caye, where the island’s electricity grid is directly connected to the national grid. After that, the team moved to ‘Point 2’, the ‘Headline Cable,’ which is the proposed takeoff for Caye Caulker submarine cable to the island. The submarine cables will then pass through ‘Point 3’, the ‘Northern Tip of Caye Caulker’ and ‘Point 4’, ‘South of Caye Caulker Forest Reserve.’ It is then expected to pass by ‘Point 5’, near the split in Caye Caulker and end at the ‘Point 6’, BEL Substation compound located at the back of the island. After the tour, BEL Project Manager Kevin Petzold addressed the media. “This project was necessary because of the growth of Caye Caulker in the recent years due to tourism. As well, it is not sustainable to keep them on a generator as it may not sustain the capacity,” he said. Petzold further added that from an environmental standpoint it would have a positive impact. 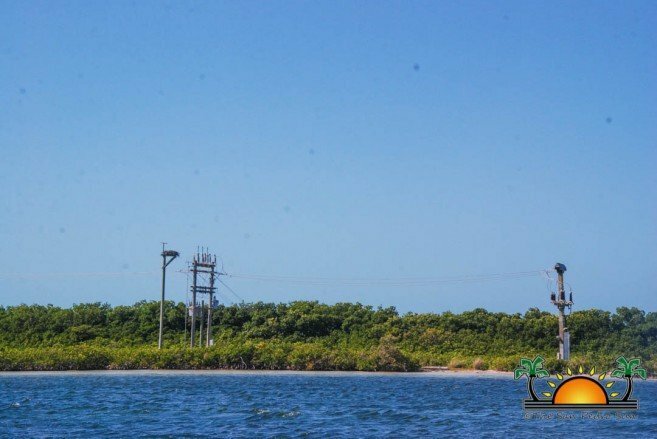 “If Caye Caulker is connected to the national electricity grid, it will reduce the noise and air pollution on the island, and we try to be as eco-friendly as we can.” He further spoke of how costly and risky it is to keep the generators running. “To keep the generators running, we have to be transporting tons of fuel to the island. On one occasion, there was even a spill during transportation, so we have taken all those factors into consideration while proposing this new project,” he said. Petzold is confident that this project will be successful, as the same type of submarine cables that were used for Ambergris Caye will be used to connect Caye Caulker. “Since we connected Ambergris Caye to the national electricity grid in 1998, we have never had an issue with the submarines. So it’s exciting to take on this new project,” he said. 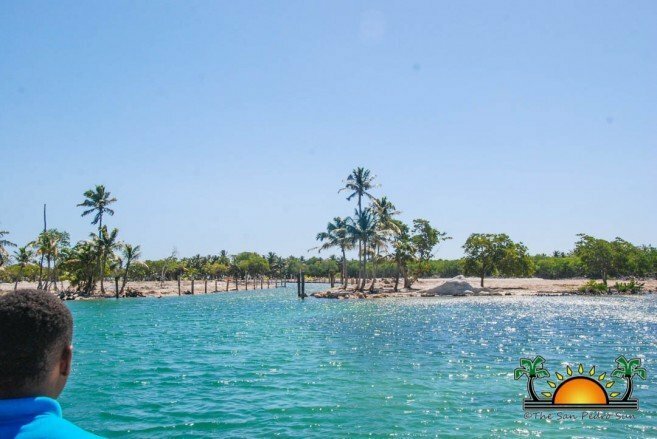 The cost to connect Caye Caulker is expected to be of $15 Million. 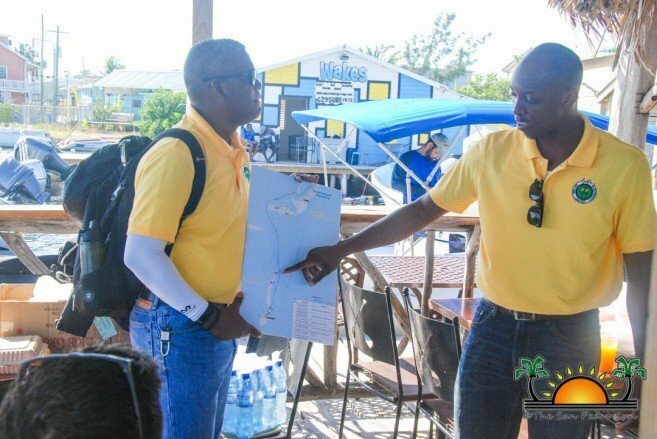 Before developing the plan, BEL engaged with stakeholders on October 15, 2018 and conducted a site tour of the possible routes and met with representatives of Caribbean Development Bank, Caye Caulker Village Council, Hol Chan Marine Reserve, Sports Fishing Association and the Ambergris Caye Tour Guide Association. 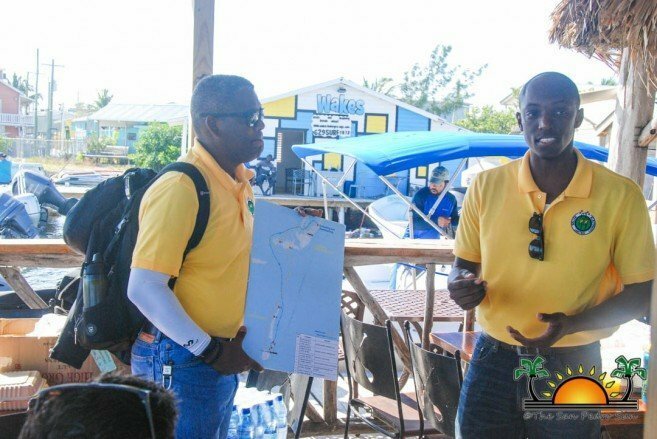 Residents of Caye Caulker also had the opportunity to view the possible routes and discuss the study with BEL and consultant Mott McDonald at an informative fair held on May 3, 2018 on the island. 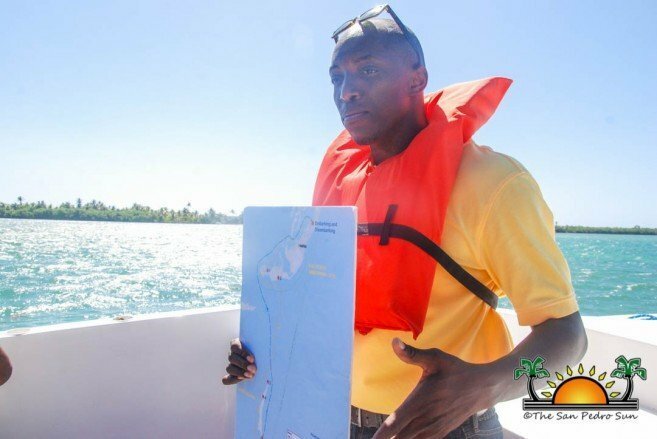 After that, with the help of McDonald, BEL completed the Caye Caulker feasibility study to confirm the economic and social benefits and the environmental impact of installing a submarine cable to connect the island to the national electricity grid. As part of the study, an Environmental and Social Impact Assessment (ESIA) Report was submitted to the Department of Environment (DOE) for further review. After getting approval, BEL stated that this project is expected to commence in the next six months.